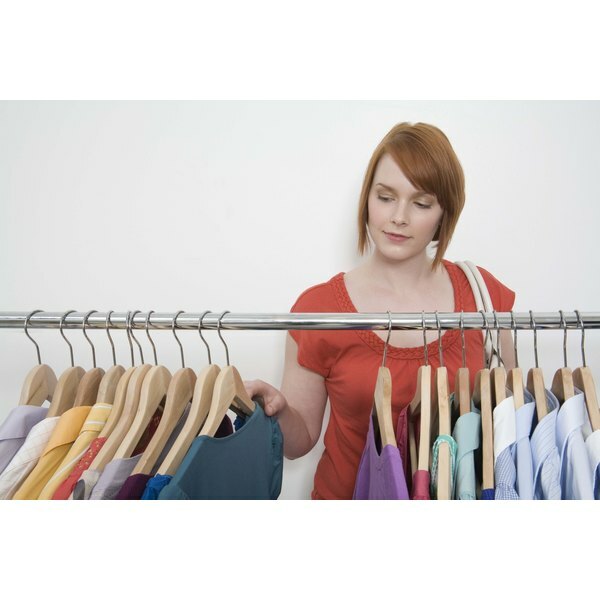 Before you check the tag, decide what fabrics you want to add to your closet. Your wardrobe is an investment, so before you buy a new T-shirt or pair of pants, you should check the tag for the fiber content. However, what you find there may not be straightforward. Understanding the advantages of microfiber and cotton and the differences between the two can help you build a functional, long-lasting wardrobe. Microfiber is a class of synthetic materials with fibers less than 1 denier thick. A denier is around 1/60th of the thickness of a human hair. Many microfibers are even smaller than one denier. There are four base materials microfiber fabrics may contain: acrylic, nylon, polyester and rayon. A microfiber can be made with only one of these materials, but most microfibers are a blend of several. 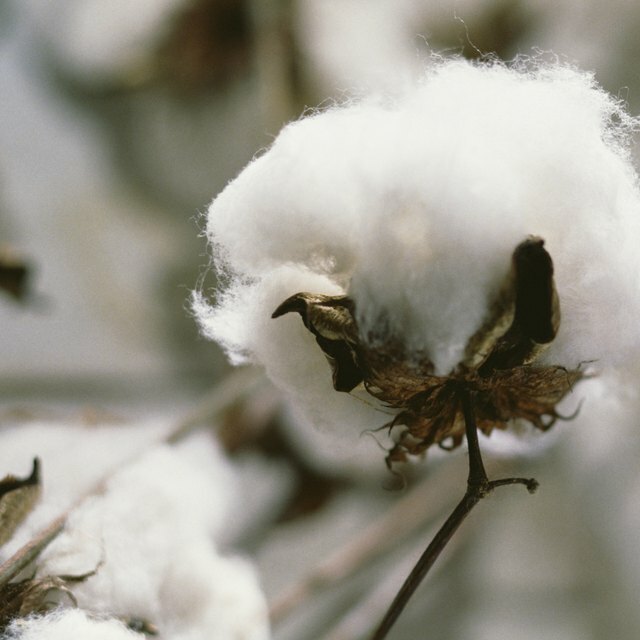 Cotton is a natural white fiber that comes from the cotton plant. Mature cotton plants grow to be several feet tall and produce flowers. When a cotton plant produces new seeds, white, fibrous seed hairs surround it in the boll. When the boll expands, it bursts open and the seed hairs are plainly visible and can be cultivated. Cotton fibers are primarily composed of cellulose and water. Microfiber wicks away moisture, so clothing made with this fabric keeps you drier than cotton would, making microfiber an ideal material for workout clothing. Microfiber also has stain-repellant qualities, so it works well for clothes that will get dirty, such as children's T-shirts and pants. Microfiber does not tend to wrinkle like cotton does, so it's effective as a wash-and-wear fabric for casual clothing such as day dresses and lounge pants. One of the main advantages cotton holds over microfiber is that it is natural. Cotton is also quite strong. According to the University of Missouri's Cotton Project, "Cotton has a breaking tenacity of 3.5 to 4.0 grams per denier." Cotton is unique from most fibers in that it strengthens, rather than weakening, when wet. Cotton can also withstand high heat, unlike flammable microfiber. Cotton reacts well to ironing, and can be boiled for total disinfection. This makes cotton an excellent material for dress shirts, everyday pants, and items that get very dirty such as infant clothing.